In the wake of the massive theft of customer data, Target is revamping its store-branded credit and debit cards with chip-and-pin technology that will make them more secure for in-person transactions, but still leave the door open to some fraudulent use. Starting next year the company’s REDcard debit and credit card — along with a separate Target credit card that is currently co-branded with Visa — will be reissued with the MasterCard chip-and-pin technology, USA Today reports. A spokesperson for Target says MasterCard was chosen over Visa because the technology could be used on all their card offerings. Already in use in Europe, EMV (short for “Europay, MasterCard and Visa”) technology cuts back on card fraud because the chips make cards significantly harder to clone: even if you get all of the information from a card’s magnetic strip, as through a skimmer, without the chip actually being present the card data is useless in a physical transaction. However, while the use of EMV technology in a card does make it more difficult to clone a card for in-person transactions, it doesn’t necessarily prevent an ID thief from using stolen card numbers for online or phone purchases. There is no such thing as a card that is 100% safe from clever criminals. Officials with Target say the move is part of its renewed commitment to information security following the massive data breach that affected more than 110 million of the retailer’s customers during the 2013 holiday season. Since the breach the company has committed $100 million to the effort. In anticipation of the new cards being issued, the company has begun to upgrade registers to accept chip-and-pin cards. Between 60 and 70 stores a week are being updated with the new registers and all stores are expected to have the new system by September, the spokesperson says. This isn’t Target’s first foray into the chip technology sector. 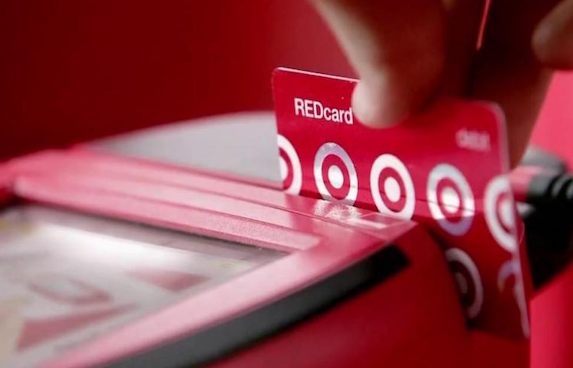 In 2003, the company tried to bring the technology to their own Target-branded REDcard. The retailer ended the experiment three years later due to high costs made not worthwhile because chip-reading technology was not being adopted at any other large retailer. However, the outcome will likely be different this time around. Following the recent series of data breaches at retailers, including Target, Neiman Marcus and Michaels, conversation has been dominated by what types of technology could help prevent such attacks in the future and chip-and-pin cards are at the forefront. During a Senate Judiciary Committee hearing in February, senators discussed the merits of the smart chip card system. A short time later, Visa and MasterCard announced they hoped to end traditional sign-and-swipe credit card transitions and switch to the chip-and-PIN system by 2015. In March, the companies formed an industry group to address payment security issues specifically the adoption of integrated chip technology.